We are proud to ship our toothbrush starter sets internationally from only $15 and there is no shipping charge for automatic refills worldwide! Please see the table below for full information and please note that store orders take 0-3 days to process. Once the packages land on international soil, it is unfortunately impossible for our help team to track the package or reach your local postal provider to help you with your order. Most countries continue to track our packages beyond landing, but not all. Please note, we are not able to refund initial shipping cost for lost or returned packages. While quip is a low value item and we correctly provide all required customs information on our shipping forms, your quip may still be subject to customs fees, duties, taxes and/or VAT charges. 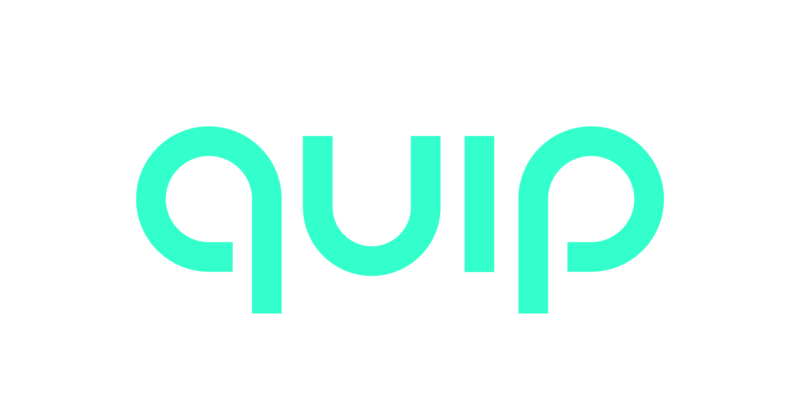 Please be aware that quip cannot be held responsible or liable for any extra charges accrued by your local customs or postal service. This is a rare occurrence that only happens in select countries depending on local regulations. We would recommend checking the policy for your country, particularly if you are located in the EU due to recent policy updates. We do not recommend ordering one of the Group packs as the value of the refills will be greater than $20, which can increase the risk of extra charges. Please consider ordering your brushes separately to avoid a refill customs charge. Unfortunately we cannot guarantee, control or affect international delivery times as they vary from country to country and we are not able to contact your local provider or carrier once it leaves the United States.